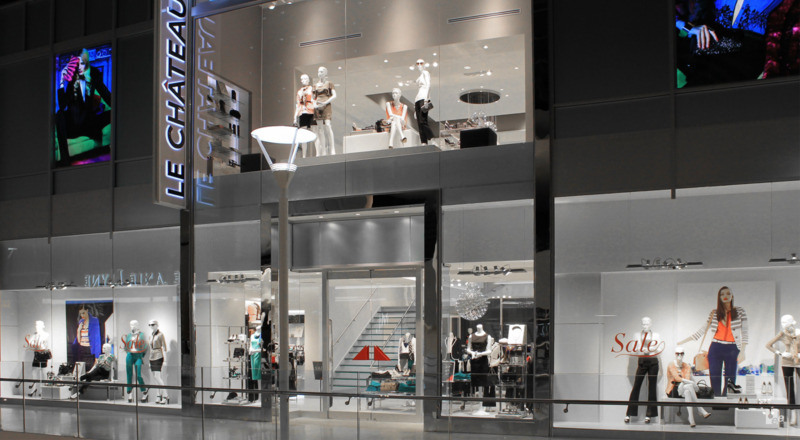 Le Chateau, a clothing retailer in the Canadian city of Calgary required an attractive feature staircase for its store. The staircase is supported by two purpose-built steel sawtooth stringers, positioned either side of the stair’s glass treads. The glass treads are formed from three-layer laminated tempered glass with a non-slip pattern to ensure safety.